Maine Beach weddings are unpredictable. You have to be ready for the weather, even a little rain. 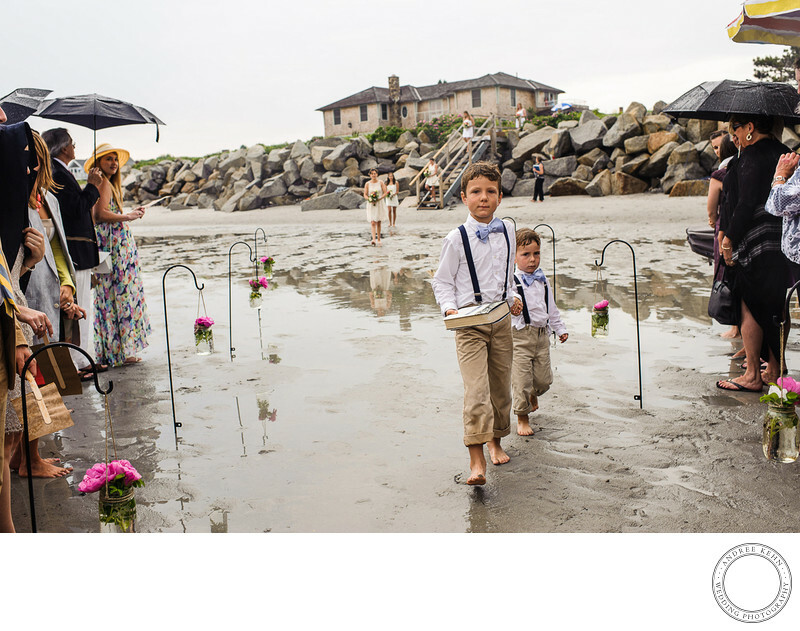 These adorable ring bearers rolled up their pant cuffs and walked down the sandy beach aisle. The sun broke out, just as the bride reached the top of the stairs to come down to the beach, as if it had been scripted by God. Location: Goose Rocks, Kennebunkport, maine. Keywords: Andree Kehn (84), Andree Kehn Wedding Photography (1287), beach (15), Kennebunk (15), Meg (15), Nate (15), tented (15). 1/200; f/5.0; ISO 250; 35.0 mm.